Junichi USUI(born December 14, 1977) is a musician originally from Japan, has been keeping independent activities for music, art, films, theatre, poetry, event organizing in Japan, also joined collaborations with local musicians and artists in foreign countries as Korea(2014, 2015), New York City(2015), Italy(2015), Indonesia(2015, 2016, 2017), Taiwan(2015), Malaysia(2016, 2017), Vietnam(2017, 2018). 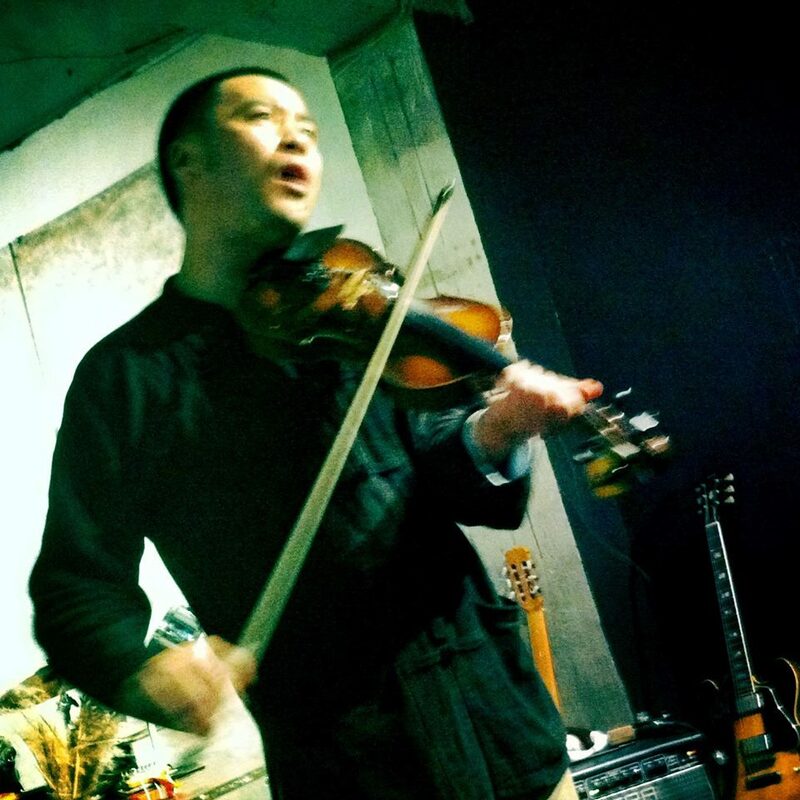 With violin, voice, sho(Japanese mouth organ), electric guitar and other gears, Junichi’s music skill’s flexibility covering from traditional music through popular music till experimental has been acclaimed by audience and collaborators over the places where he performed. From Autumn, 2017, Junichi moved his basement from Tokyo to Ho Chi Minh City, Vietnam by strong interest for South East Asian culture and now looking for new opportunities to join. Junichi also has supported many indie art actions for the compilation album called “No More Cool Japan” to introduce Japanese local area musicians (2015), Evan Parker, William Parker, Toshi Tsuchitori, Japan tour(2015), Toshiyuki O’mori Spacious (2014, 2015).